The security in residential and industrial areas requires a specific and individual planning for an adequate outcome in the implementation of a security service. Mevisa carries out a detailed analysis of the risks, which helps to determine the measures to be implemented to ensure (--) personal and home security. 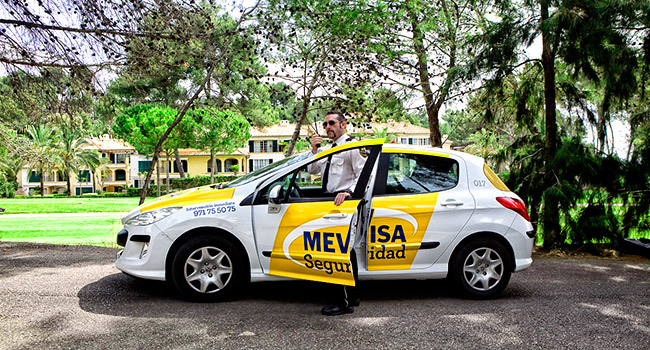 Once the risks have been analysed, Mevisa designs a specific security plan, paying particular attention to the adequacy of the service while maintaining the costumer’s costs saving. In addition, Mevisa has Security Guards (--) specialized in Security Surveillance of residential and industrial areas, qualified to do their job effectively and professionally. The professionalism of our Guards allows them to make urgent and necessary decisions, always following the established protocols. Thanks to our security personnel, the usual risks such as theft, breaking and entering, vandalism damage, flood damage, fire or accidents are minimized. In Mevisa we know that there are no two equal residential or industrial areas, and that is the reason why we offer 20 years’ experience in the development of integral solutions.